Faith Hill and Tim McGraw have been announced as the first headliners for Country to Country 2018 bringing their highly acclaimed and record setting Soul2Soul tour to this year’s event. Dates and times for the Soul2Soul tour have not been announced. 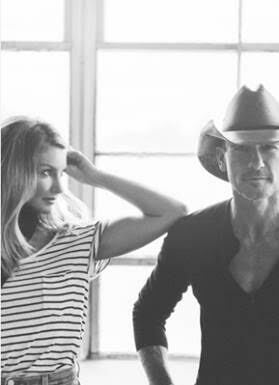 Faith Hill and Tim McGraw have been dominating the music charts since the early ‘90s. They began touring together in 1996 on McGraw’s Spontaneous Combustion tour. In 2000 they created the Soul2Soul franchise with their record-breaking “Soul2Soul” tour, becoming that year’s top grossing and most successful U.S. tour. Their success continued in 2006-2007 when “Soul2Soul II” returned to the road, which was the most attended tour of the year in any musical genre and remains the highest grossing multi-year North American tour in country music history. C2C will be held March 9-11 in London, Dublin, and Glasgow. The full line-up for C2C will be announced at the launch event on Friday Oct. 6 at London Bush Hall hosted by BBC Radio 2’s Bob Harris. For tickets and more information visit c2c-countrytocountry.com.